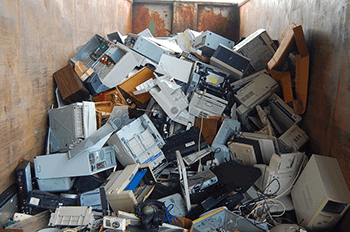 Why Choose E-Waste Recycling Companies? Proper disposal of electronic waste is mandatory for any business. E-waste recycling companies can assist in the disposal, recycling, and recovery. This enables you to get the maximum value of the asset in a secure and safe manner. Electronic data security is critical for any business. Computer hard drives and other types of electronic data are difficult to destroy without proper equipment. 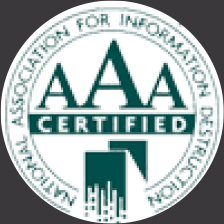 If the business information found on hard drives and other electronic formats is not disposed of properly, it can expose confidential information. Compromise of electronic data can affect the reputation of a company, its customers, and employees, too. 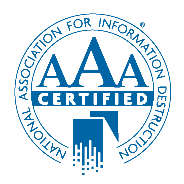 Protecting confidential data is one of the highest priorities of any business. Old electronic equipment takes up a lot of space. If they are not disposed of properly, they can pose considerable risk to the company and the environment. Recycling electronic waste through e-waste removal services enables your company to focus on recovering assets, maximizing the usable space and pursuing efficient technology. A complete range of environmentally sound and secure asset management and recycling services are offered by e-waste recycling companies. When hard drives are recycled, it is important that all information pertaining to bank accounts, credit information, and other sensitive information is completely destroyed. The only way to ensure this is through a hard drive disposal service. Hard drive shredding is the complete physical destruction of the hard drive. The hard drive is shredded as per industry standards, ensuring that the information is irrecoverable. This means the drive is fit only for recycling. It leaves your business data and reputation safe and secure. Recycling electronic waste is a good way to protect the environment. Most reputed e-waste recycling companies provide the service on-site. This eliminates the need to transport the information off-site. The recycling companies come to the location and collect hard drives and other electronic products for recycling and destruction. The electronic data is transported in locked containers back to the facility. The electronic waste is sorted for recycling and asset recovery. Throughout the recycling process, the components are carefully removed and sorted. Precious metals, plastic, and steel are recovered from the recycling process. This prevents dumping of electronic waste in landfills. Other materials are checked to ensure re-usability. E-waste devices contain hazardous materials, such as chromium, cadmium, mercury, and lead. Proper processing should be done to ensure that these hazardous materials are not released into the environment. The recycling companies do the sorting and disposal under strict supervision. The electronic waste is destroyed and recycled in such a way that it ensures compliance with all rules and regulations. The certified e-waste specialists use EPA approved guidelines and other responsible methods to recycle and destroy the electronic waste. This helps in creating sustainable solutions and keeps hazardous materials out of landfills. An effective electronic waste management system at the workplace limits risk and increases productivity. This eliminates the risk of being penalized for improper disposal of e-waste. The many convenient recycling options make it easy for businesses (large and small) to get rid of electronic waste in a safe and environmentally friendly manner. The e-waste recycling companies can also audit the electronic devices for risk. This will help in creating an e-waste recycling program that is specific to your business needs and requirements. The high standards of IntelliShred ensure effective e-waste management. They adhere to a strict set of requirements that regulate worker health and safety, security practices, and the environment. We can help you keeps your data safe and the environment clean.